Combined, BCG has one of the largest digital platforms driving engagement with millions of golfers through our Billy Casper Digital Network, a collection of highly curated content. Rest easy, BCG handles everything from start to finish for our clients. Our innovative team is responsible for the installation, design, building, launching, hosting and billing of highly successful and heavily trafficked websites. 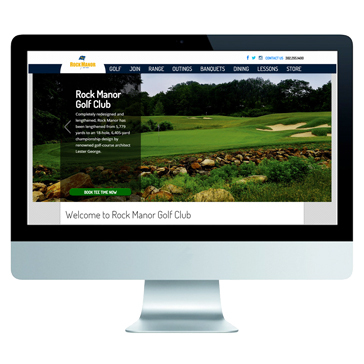 Using leading technology and practices, our course sites are highly responsive in nature allowing for simple navigation and easy viewing across all platforms including mobile, desktop and tablet devices. We utilize the latest in Search Engine Optimization (SEO) technology which can be quickly edited on the fly to improve results and recognition. In addition, critical analytics are available directly in the platform and through Google Analytics, leading to a greater understanding and engagement of customers. Courses can even get “hands on” and update their own site, write blogs and much more through our Course Management System (CMS). Owners can schedule content in advance to ensure timely and relevant distribution to customers. Built for performance, our digital platform is not only proven, but constantly monitored and improved for maximum effectiveness.